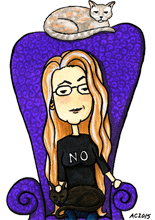 A certain blonde chicken challenged me to make a cute zombie Jesus card for Christmas, and who am I to resist her? He’s meant in the spirit of fun, so his card says, “Eat of my flesh and I’ll snack on your brains,” inside. You can pick up any of my greeting cards at Etsy, or take home his original art below. 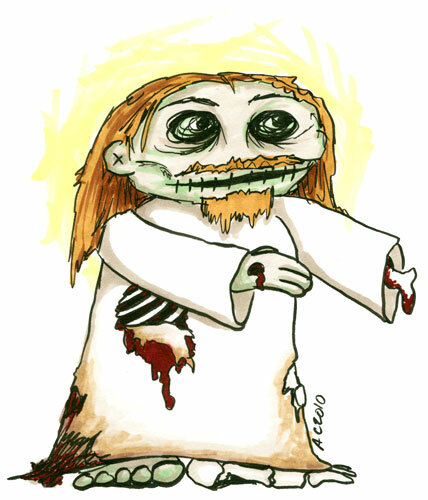 Zombie Jesus, 5″x7″ pen and ink and copic markers on watercolor paper. This is my BRAINS!!! given for you.